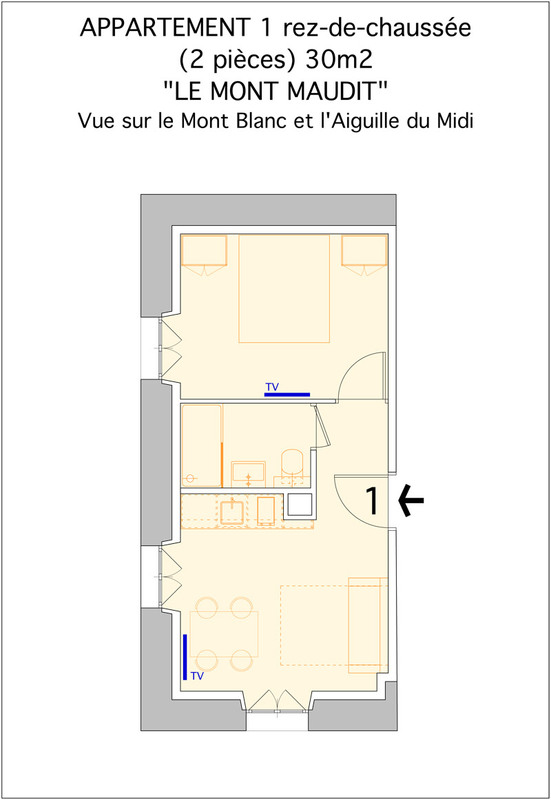 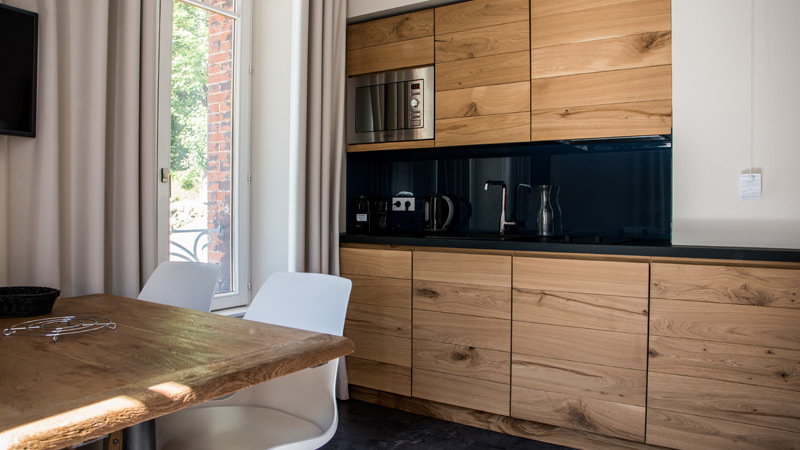 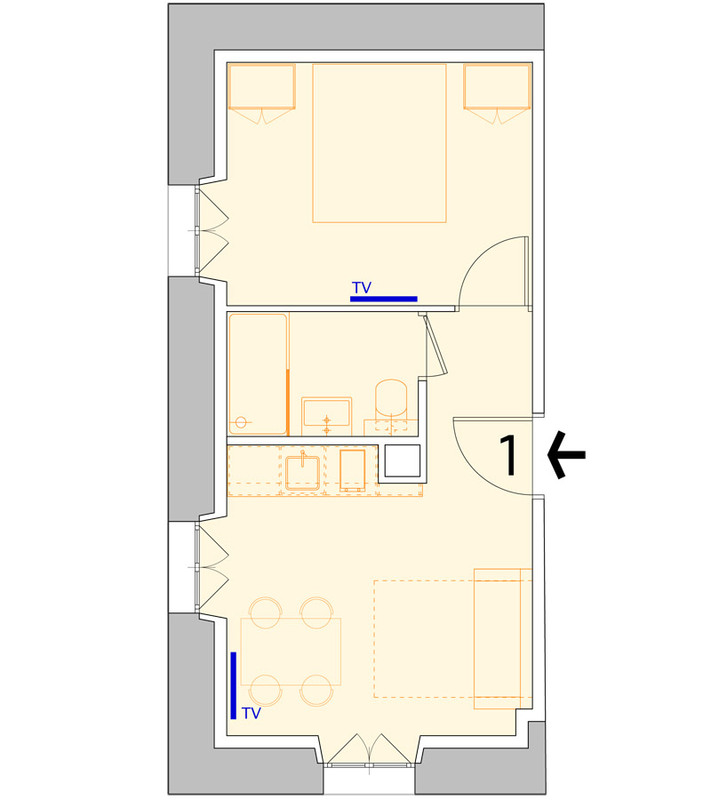 This 30 m² ground floor apartment can accommodate up to 4 people. 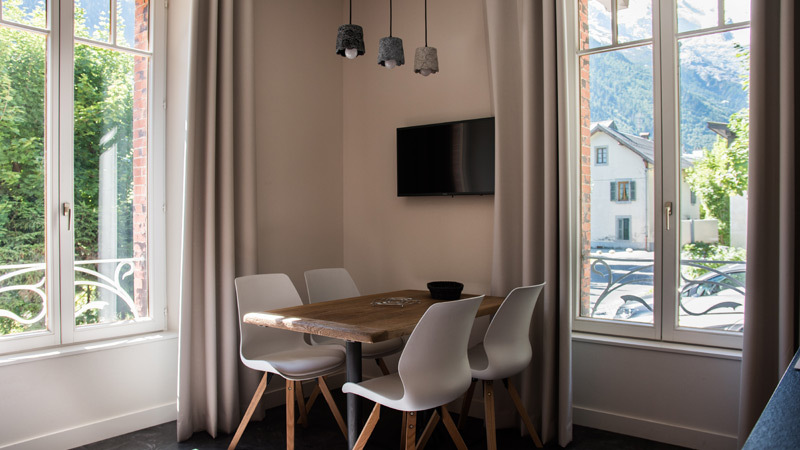 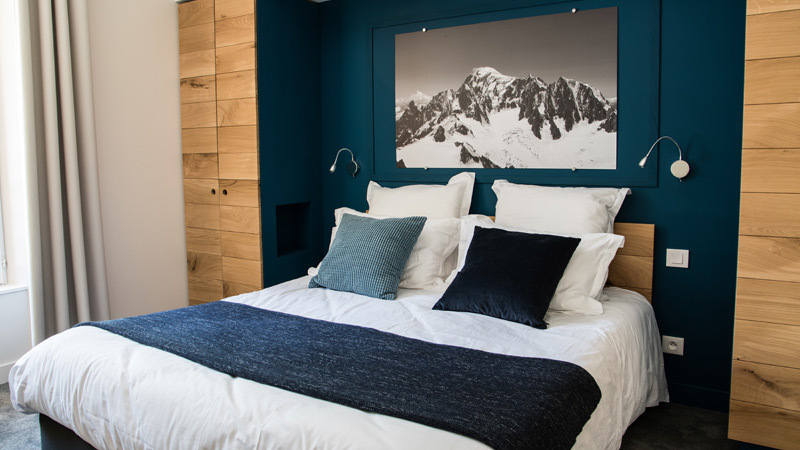 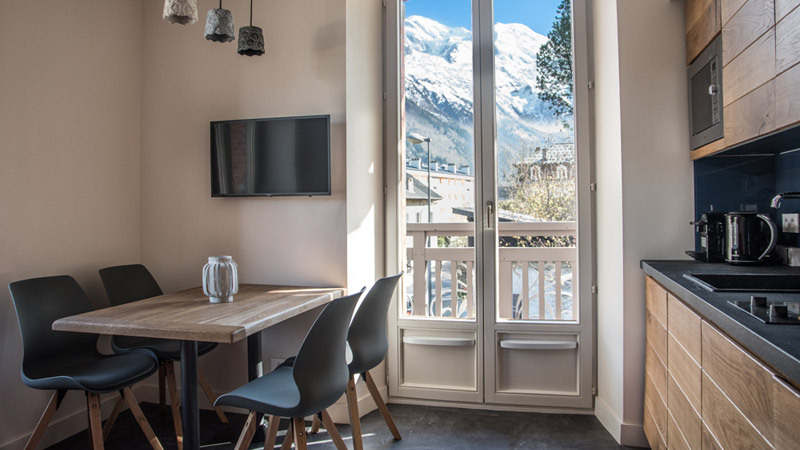 An independent room with an exceptional view of Mont Blanc and the Aiguille du Midi. 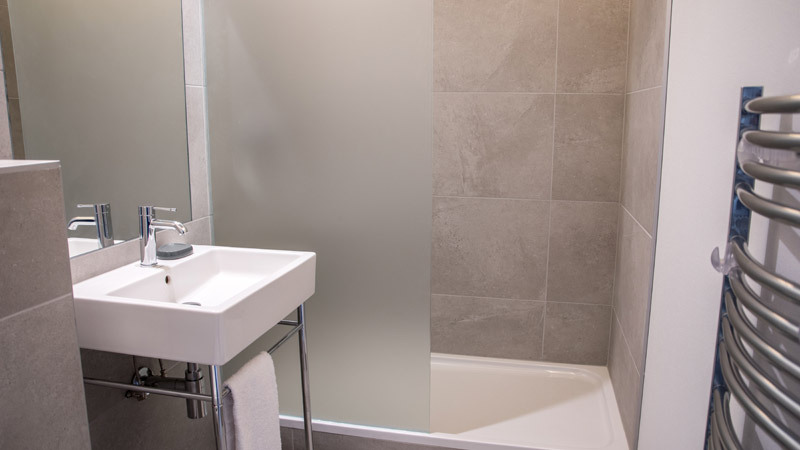 This upper class standing apartment has all the necessary amenities. 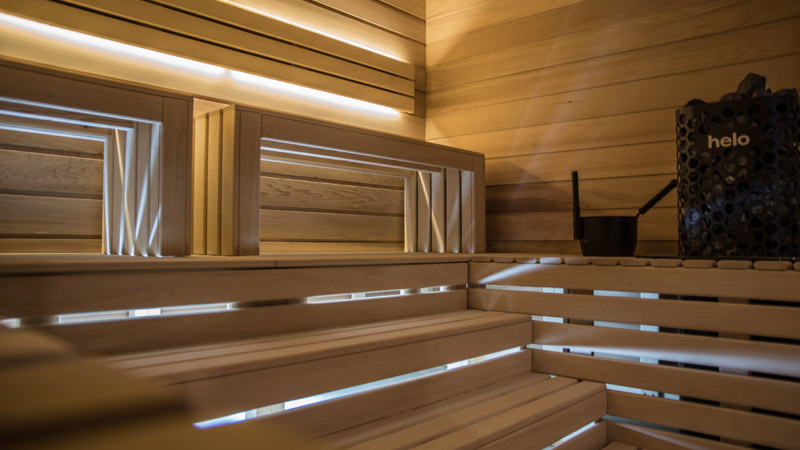 Included in the rental is the usage of the sauna and jacuzzi of the hotel.